The practicalities of creating a small apartment layout to suit family life. 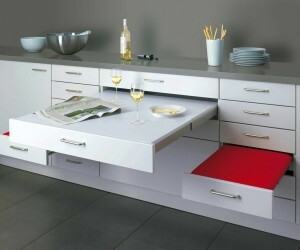 Stylish space saving layout for a compact studio apartment, including slimline storage. 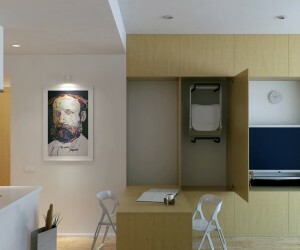 Take a look at this small apartment with big ideas on storage and space saving layout. Small but beautiful bathroom designs to suite the modest proportions of most modern homes. If you find yourself a little pushed for space, take a little peek at some of these design solutions for compact homes. Did you fight over who got the top bunk bed when you were growing up? Then this bedroom furniture is for you! This conceptual apartment shows us how to bring bold color choices into a small space. Space saving features for an airy compact apartment, including concealed storage and bespoke foldaway furniture. 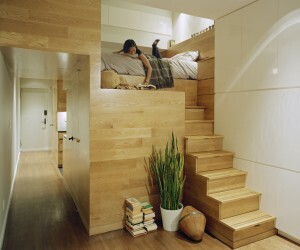 A tiny beautiful 450 square feet apartment in New York. Inspirational pictures of a small space apartment design with unique bedroom and lighting. mode:lina designs a cute, little apartment in Poznan, Poland for guests of the Poznan International Fair. Two European designers offer their takes on young people's work-spaces. 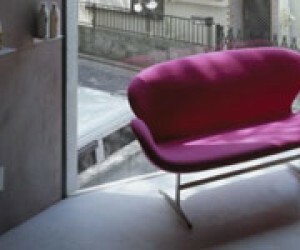 A fascinating display of multi purpose furniture by Italian company Clei that lets you squeeze out every inch of usable space. 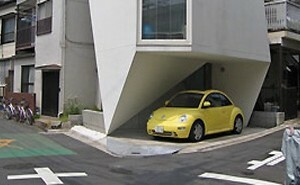 A narrow apartment is designed at a tilt so the view won't be so symmetrically typical. 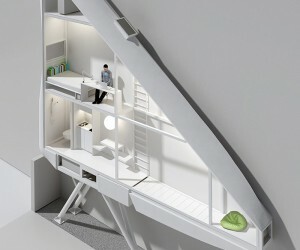 Awesome apartment in Manhattan cleverly built to offer tons of storage in a multi-functional living space. Teen bedroom designs and ideas with folding beds suitable for smaller rooms.